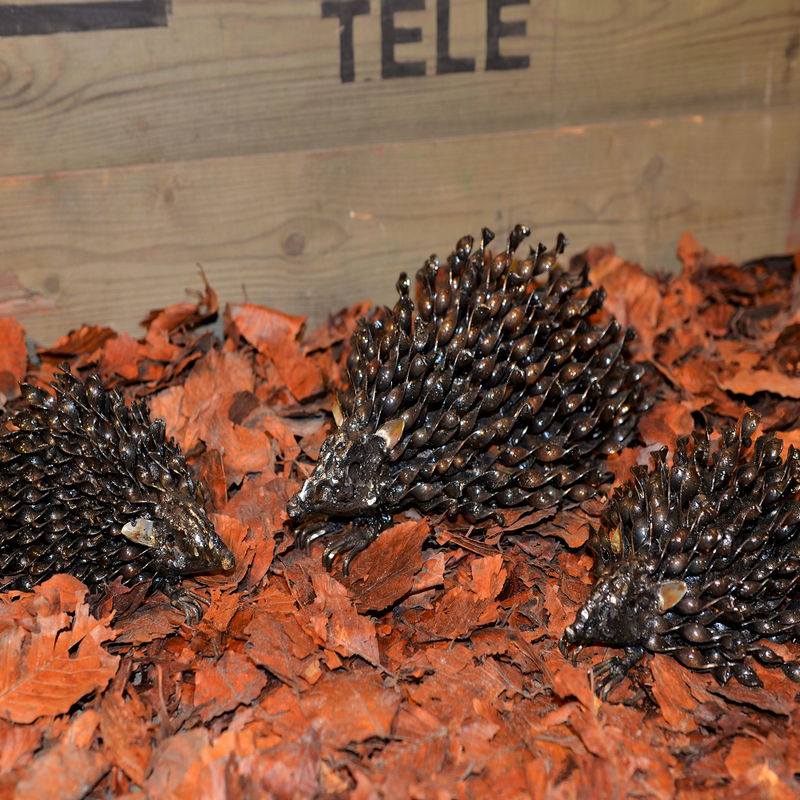 Our well known Hedgehog design now has two adorable babies to keep her company. Babies measuring approx 19cm x 10cm. Adults measuring approx 28cm x 20cm. 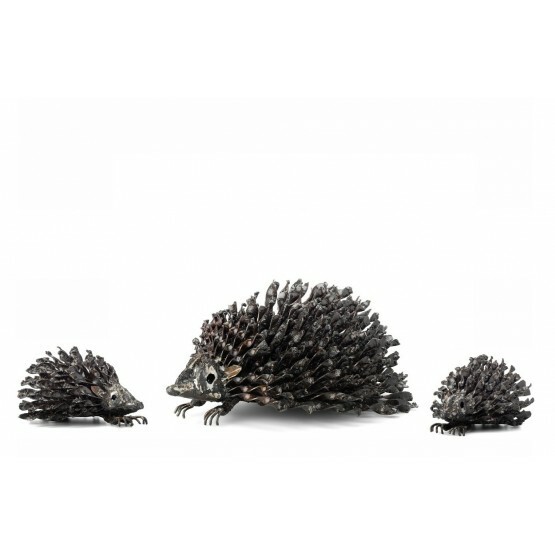 Created from recycled metal oil drums, the sculptures make stunning features for the home and garden. Coated in a lacquer finish they can be left outside all year. Use a clear spray lacquer to maintain the finish as and when required. A tent peg or stake can be used to secure them into the ground. If displayed on wooden decking use a hook nail over the foot. NOTE: All sculptures are individually crafted, so heights and stances may vary. Please be aware that some sculptures may contain sharp edges.